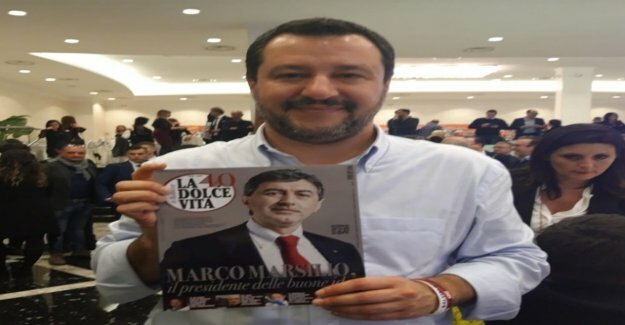 The ultra-right Northern League party of Italian interior Minister, Matteo Salvini has made in the regional election in Abruzzo a clear success. As the interior Ministry in Rome announced on Monday, came Salvini's party in the vote on Sunday, with 28 percent of the vote. her coalition partners in Rome, the populist Five-star movement (M5S), came to 19 percent. In the parliamentary election last March, the Five-star-movement was at 33 per cent, well ahead of the Lega , which came to 17 per cent. Since then, the party of Vice-head of government: Luigi di Maio, however, lose to approval. Salvini's party finds more support among other things, by the harsh Anti-immigration rate to the interior Minister. Both di Maio, as well as Salvini had made before the election on Sunday, a massive campaign in the Abruzzi. Choice winner is one of the Lega ange Alliance, of the Forza Italia party of former Prime Minister Silvio Berlusconi and a small right-wing party. They were United in a total of 48 percent of the vote, followed by the center-left Opposition, with 31 percent.